The Au Sable and Manistee rivers feature prolific hatches of both mayflies and stoneflies, and not to mention terrestrials, from March into November. 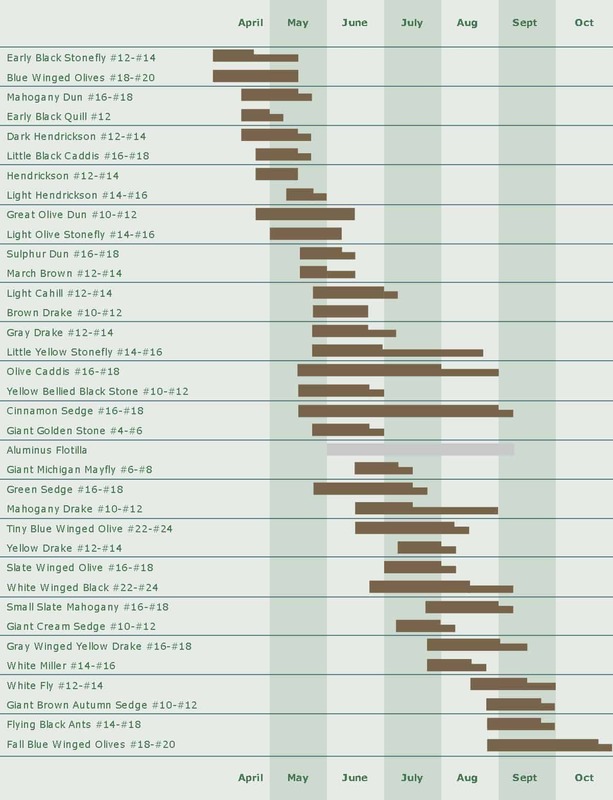 While our hatch chart can give you a rough idea of what may be going on currently, it is always best to either check with us at the fly shop directly, or glean info from the latest fishing report. We would be more than happy to assist you with the latest information and conditions, and we have a fully stocked fly shop with Michigan-tied flies to fool the local trout!